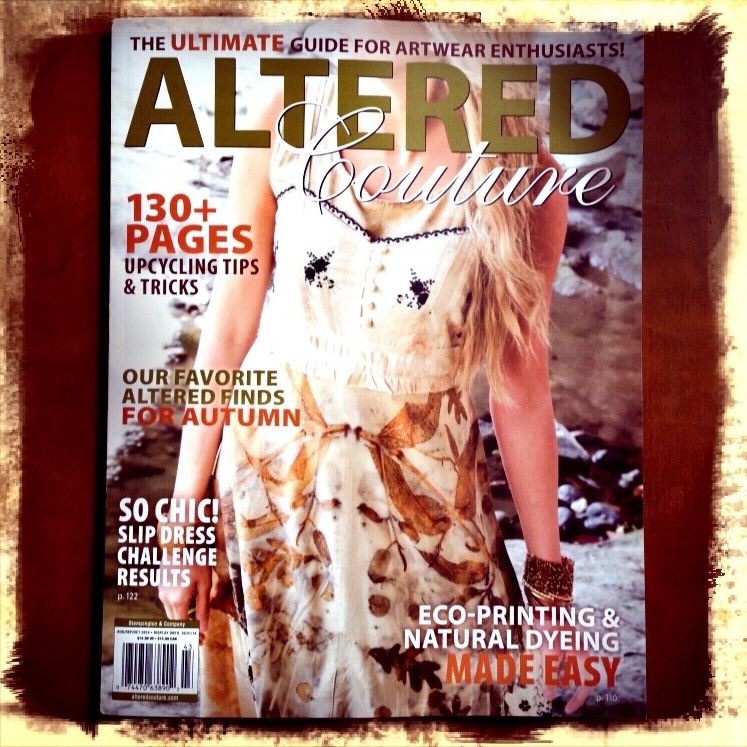 I am so grateful for the opportunity to be on the cover of Altered Couture and featured in Belle Armoire magazines. As an artist, I pour my heart and soul into the textiles and artwear I make without expectations how they are recieved by others. It is extremely fulfilling when others appreciate and truly see what I do- beauty in nature reflected with art. Thank you, all of you who understand and support my work, and the time involved in handmaking of wearable, one of a kind art. Cheers! Posted on July 26, 2014 by Michelle Hoffee and tagged Michelle Hoffee Living and Dyeing Altered Couture Magazine Eco Prints Natural Dyeing.